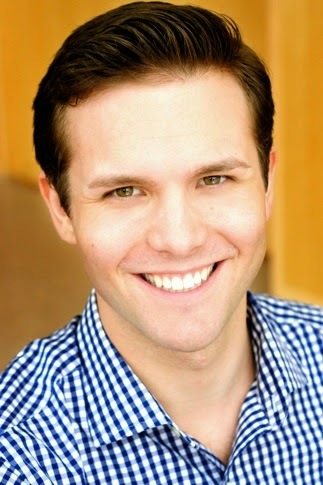 Baritone Joseph Lattanzi has one of the most important parts in The Consul. When freedom-fighter John Sorel must leave his wife and family, he tells his wife, Magda to wait for someone to break the family’s window, then to call Assan, the glass-cutter. “He’ll give you news of me,” John says. Lattanzi returns to the Seattle Opera stage after performing in Madama Butterfly (2012) and Carmen (2011) for this opera which he says is important and holds truths which are hauntingly relevant today. On the first day of rehearsals, director Peter Kazaras encouraged The Consul cast and Seattle Opera staff to share their own stories of escaping persecution. Did any personal stories come to mind? Or what was your reaction to others’ experiences? My father's family immigrated here, coming through Ellis Island, in 1914. They, like so many others were in search of a better life. I appreciated how Peter started the rehearsal process off. It really put things into a personal context for all of us. I think he changed a lot of minds about the relevance of the piece in that moment. What’s your opinion of these more modern, 20th century operas? I'm a fan! I like doing works that have some relevance to what’s going on in society. I actually just finished a workshop of a brand-new opera by Gregory Spears called Fellow Travelers. It’s a gay love story that takes place in the McCarthy era and explores the discrimination and complexity of life LGBTQ people experienced during that time. 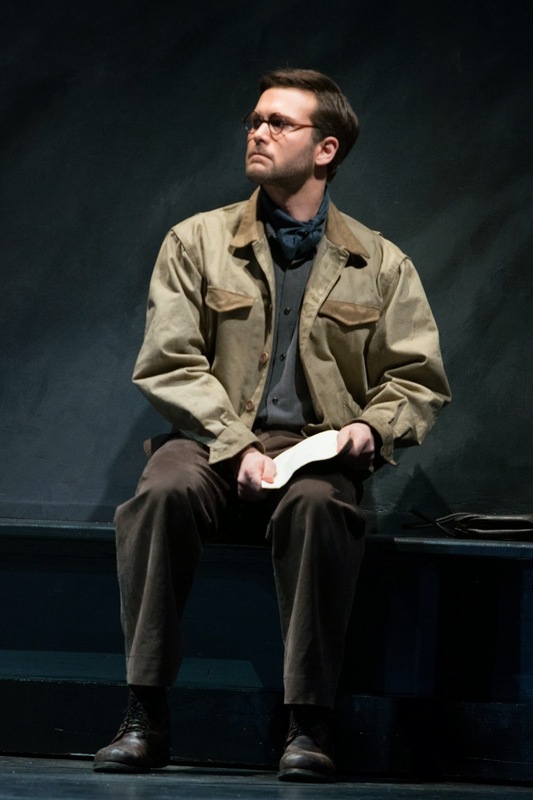 Joseph Latanzi as Assan in The Consul. Tell us about your character in The Consul, Assan. Assan is one of John’s freedom-fighter friends; he’s the go-between communicator between Magda and John. He’s been charged with making sure the bureaucracy doesn’t get the better of everyone, but of course, it does. He gets to this point where he becomes complicit in Magda’s lies to protect John which increases his involvement in the outcome. I think he tries not to lose his cool during this difficult time, but in the end, he is at the end of his rope and comes pleading to Magda for help. What was it like working with Marcy Stonikas, Magda, in The Consul? She is wonderful. I love how Marcy makes everything - voice and language - so immediate. To hear her sing the “Papers, Papers” aria is just incredible. It’s also just an incredible piece of music. Many people discount Menotti, but I think in this piece particularly, his music is very atmospheric and powerful. How was it being in a cast with other graduates of Seattle Opera’s Young Artists Program? Encouraging! It’s great to see what everyone has accomplished since coming through the program. Everyone is so committed to great vocalism, great acting and great musicianship. I'm proud to be part of this group! What are your goals with opera in general? I'd love to have an interesting, varied international career. I love traveling and working on a wide range of projects. I want to be as versatile an artist as possible. I don’t necessarily want to be nailed down as a certain kind of character or singer. I’m also eager to be a part of the growing movement to keep the classical music and operatic traditions vital. 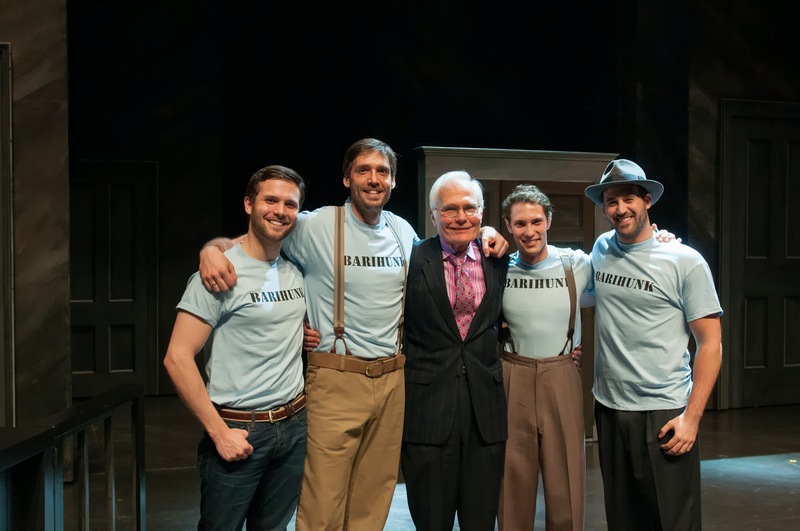 Why should people come see The Consul? I think Seattle should be proud of this production for several reasons: the exciting younger artists; the tale that’s cautionary, yet powerful. The story of The Consul is still happening today. It’s an important production for our own social conscience and consciousness. There's still ONE more opportunities to see The Consul! Menotti's masterpiece plays at McCaw Hall at 7:30 p.m. on March 5 and 7. For tickets and more information, click here. From left: Joseph Lattanzi (Assan), Michael Todd Simpson (John Sorel), General Director Speight Jenkins, Colim Ramsey (Mr. Kofner) and Stephen LaBrie (Secret Police Agent) following a performance of The Consul. The photo was taken for the Barihunks blog.